The Internet, as well as being a great means of communication, is a great threat for our computers, because we can be affected by all kinds of applications and malicious users. 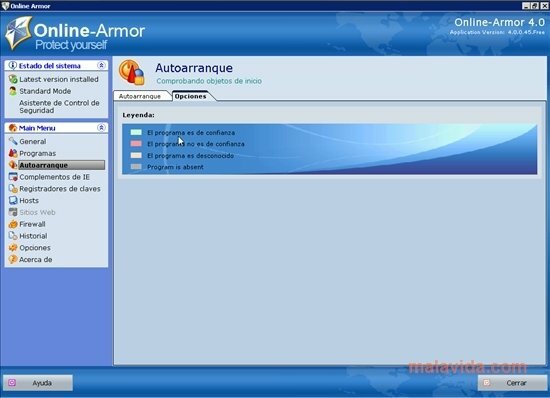 To be able to protect ourselves correctly we have to make use, as well as of an antivirus, of a firewall, that avoids by all means possible the unauthorized connections to our computer with the idea of avoiding the robbery of our data or the installation of malware or spyware on our computer. 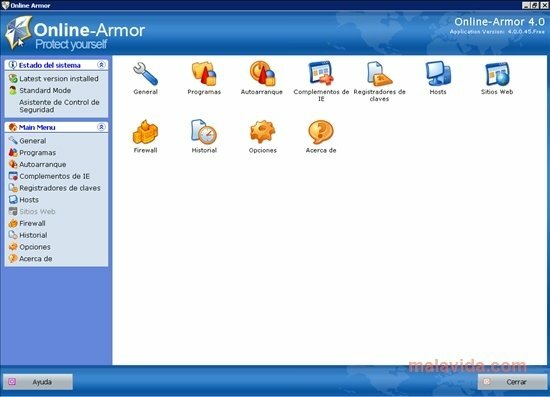 Online Armor is a free firewall that offers protection against several threats from the Internet, and that isn't very straining to our computer, so it won't cause any effect on our computer's general performance nor to our Internet connection speed. The application has a notification system (that tries not to overwhelm us each time it finds something strange), protection for our email and analysis of the applications that are running at the same time as the system. 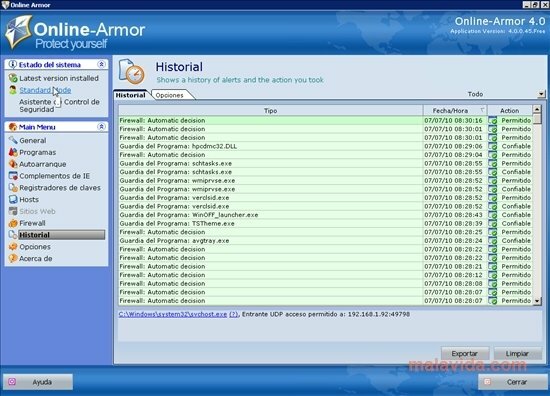 If you are looking for a complete firewall that is totally free and easy to use, Online Armor is a serious option to take into account.